The world of cryptocurrencies is emerging and becoming big over the months. 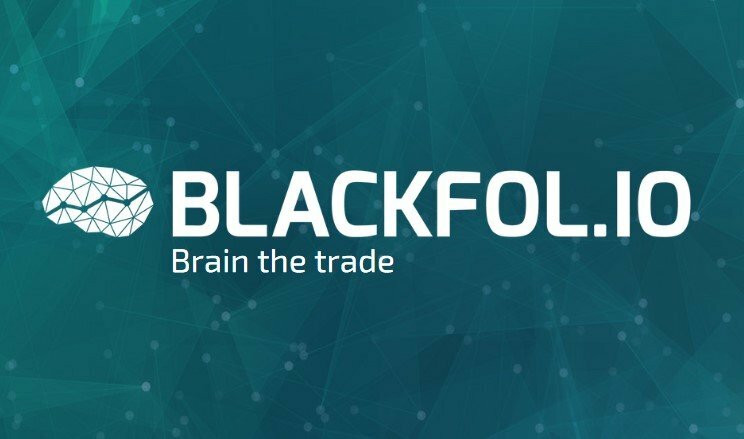 Blackfolio proposes a platform for cross trading as well as for social communities to make use of artificial intelligence in managing digital wallets and accessing the latest news about cryptocurrencies. With the rise of cryptocurrencies the use of digital wallets in many forms has come into vogue. As a result, many online transactions are being done with cryptocurrencies through digital wallets. You might want to have a secure platform through which you can manage all your digital wallets. If you are looking for such a solution then Blackfolio offer you one. 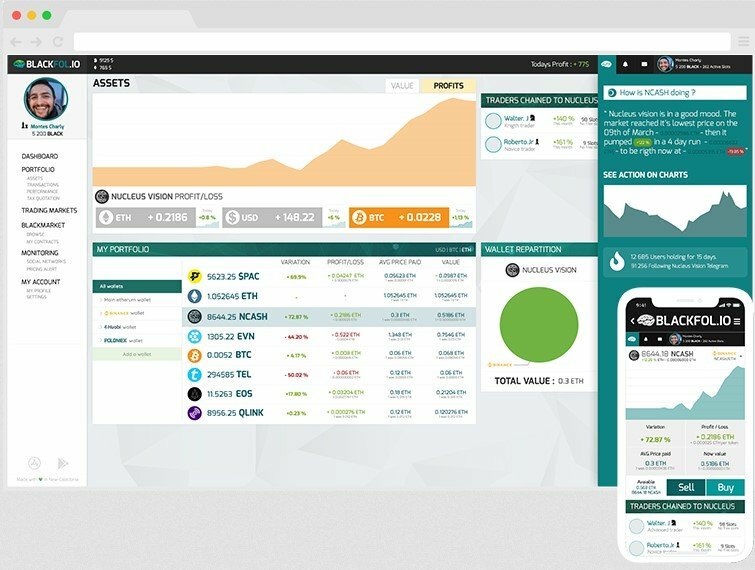 Blackfolio dashboardBesides acting as a platform where artificial intelligence will manage your digital wallets, Blackfolio you will also offer you a social and informative platform to know all about emerging cryptocurrencies. As the world of cryptocurrencies evolves, you will have more choices in the future. There would be more ways to trade in cryptocurrency or exchange the same for Fiat currency. You need a platform where you get to know the choices you have. That is what Blackfolio proposes to offer. Blackfolio would be a Wealth Management app for cryptocurrency wallets. It would work not only on your desktop, but also on your mobile. The app promises to be customizable and scalable. It would be an accurate and helpful companion to have to manage your digital wallets. Its social feature would be to allow you to connect with different traders, know about emerging cryptocurrency and understand the strategies you need to follow. It would act as a cross trading Framework as well and help you gain from the rising value of cryptocurrencies. It would also act as a multiple exchange forum. You would be able to value your assets, understand the profits you make and withdraw the same barring the fees the platform would take Connected portfolio. An initial coin offering or fundraising event is planned till the month of April. The company proposes to have wallets in place as well as the exchange setup for users to track their coin values and profits by the third quarter of this year. It would then have the trading community set up for the users of this platform to avail of the cryptocurrency exchange features. Montes Charly is the Cofounder and CEO. He founded the company at the early age of 18 and has been building on the technology ever since. He has worked behind the coding of the platform and also explored the use of Blockchain Technology, combining it with artificial intelligence. SAUTRON Gaël is the Cofounder and CTO who is also a coder and developer analyst. 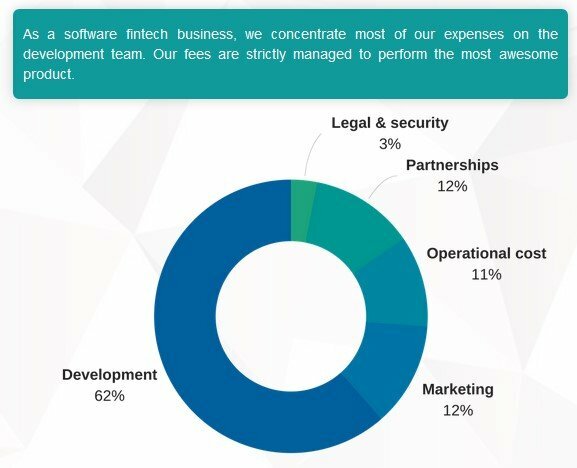 He has helped develop the accounting methodology of the platform. JOUËT Edouard acts as a Chief Financial analyst. This digital cryptocurrency based business idea definitely has a lot of viability of the emerging world of crypto currency based transactions. If you are looking to invest in an emerging business idea for the digital world this business would definitely be worth looking at. BLACK will offer IDEX, EtherDelta, Hit BTC, KuCoin, Poloniex, Binance Exchange listing.